Wow! This is such an awesome photo, completely perfect! Love the wind swept look of this flower. Carver this is a stunning photo...one to be framed for your wall or for sale. I adore the spent blooms of flowers and you have captured their papery texture beautifully. 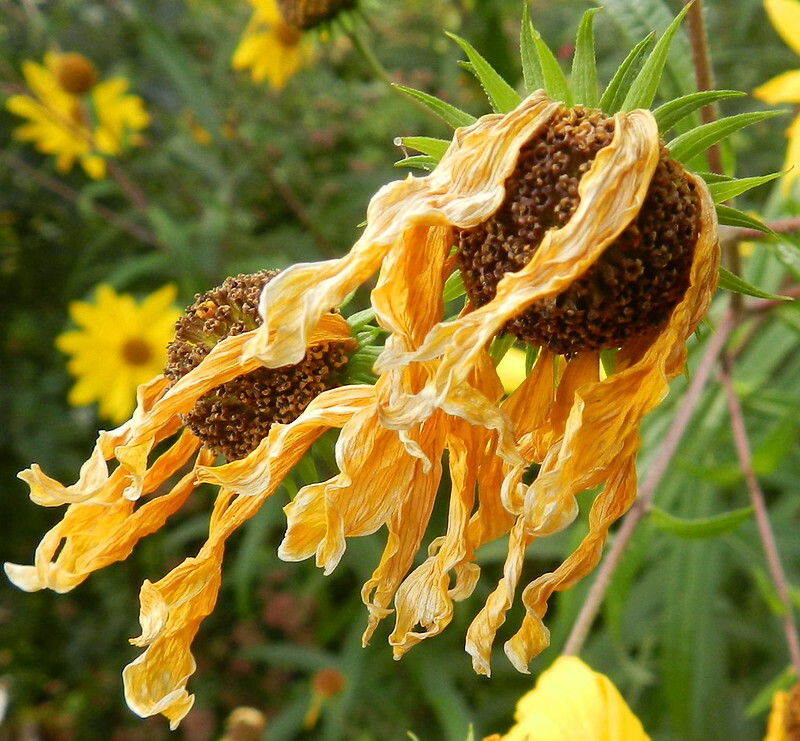 Your photo shows the transience of summer. I can feel the breeze. Fabulous shot! The dry petals are still beautiful. Gives a good feeling high in the sky! Bom dia, belíssimas cores e nitidez, a foto é magica. The dried petals tell an interesting story of bloom and decay, but the tiny disc flowers still look cute. A work of art, Carver! I LOVE it! I bow down to your amazing photographer's eye and talent! In utter awe!